Sponsored by Cudahy Packing and Old Dutch Cleanser and later Acme Products(makers of such home-improvement chemicals as Kem-Tone paints and Linux floor-cleaning waxes[a near-rival to the more-popular Johnson's Wax products heard on numerous NBC Radio shows at the same time]), the series finally settled in on Sundays at 6:30pm for broadcasts from August 18, 1946 to September 21, 1952. Libby Packing was the sponsor when the drama aired on Sundays at 6pm (1952-53). 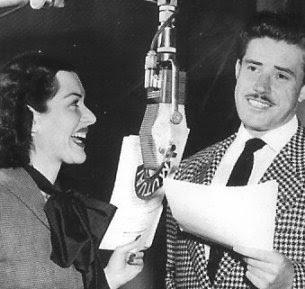 In the last two years (1953-55) of the long run, the show was heard Sundays at 4:30pm. Jock MacGregor was the producer-director of scripts by Alfred Bester, Milton J. Kramer, David Kogan and others. Background music was supplied by organists Hank Sylvern, Lew White and George Wright. 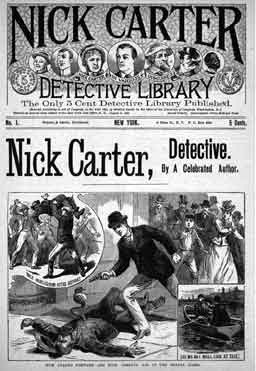 Walter B. Gibson, co-creator/writer of The Shadow pulp novels, was fired when he asked for a raise in 1946, and then became head writer for the Nick Carter radio series. Oddly enough, he never liked to write scripts for the radio-version of The Shadow, though both characters were published by Street & Smith. Trivia: Walter Pidgeon began a three-movie run playing Nick Carter, Master Detective (1939) investigating industrial espionage at a plane factory.